The mysterious box labeled “The Legend of the U” was unveiled to showcase brand new Adidas Primeknit football uniforms on Monday afternoon. 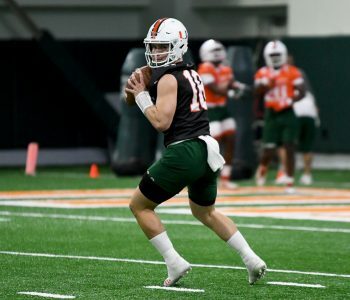 Working together with the University of Miami, Adidas created the special line of throwback unis to represent the success the Hurricanes had as a program in the 80s and 90s. They also stand for the notion that future success it to be expected. Head Coach Mark Richt came out and spoke about the new uniforms. Richt also spoke about the large turnout at the event. 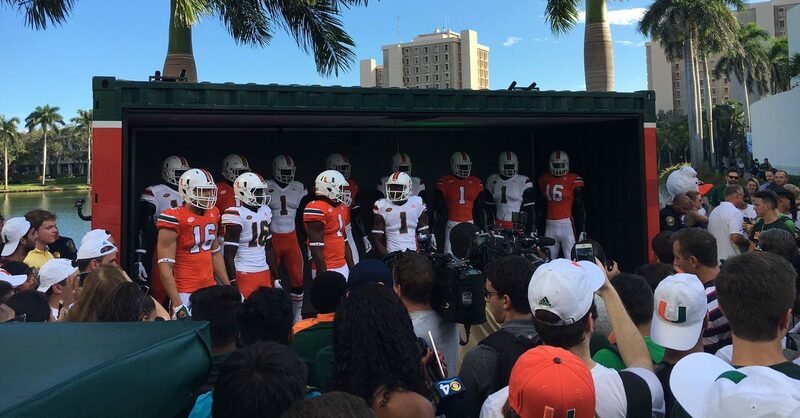 The Canes will debut the uniforms on Oct. 8, when the team faces off against rival FSU at Hard Rock Stadium. To see pictures and get more information about the uniforms, visit http://news.adidas.com/US and follow the conversation on Twitter and Instagram via @CanesFootball, @adidasFballUS and https://www.facebook.com/adidasfootballus.